In my lifetime, young people have changed the world. From Little Rock to Greensboro, from Selma to Soweto, in Tien an Mien and Seattle and Nepal, it was the young who dared to act in the face of the overwhelming certainty that nothing could be done. It was their direct action that educated, opened doors and minds, shattered the taken-for granted. It will happen again. It’s happening now. For us, those of the mythical Sixties generation (now well into our sixties), evidence of spreading youth resistance to the U.S. Empire carries both hope and responsibility. And the evidence is clear: I have not met with such intense curiosity from the young about our experience since I came overground at the end of the seventies. If we were to take an anti-imperialist show on the road, we would sell out. And since this is 2005, I eagerly welcome the MR Webzine as the anti-imperialist roadshow of this time. What can I contribute? No war stories, neither self-denunciations nor justifications. Rather, bit by bit, hesitantly and not assertively, an assay of what can be learned from our experience that will be of use today. Our shared experience today is of a planet, despite our dreams and labors, of rampant injustice and inequality yet worse than the world we once grabbed by the throat. The three great dangers that Dr. Martin Luther King warned of in his last year — militarism, racism, and materialism (today we would say “consumerism”) — rage on unabashed. Empire is openly the goal; U.S. military outposts, weapons and wars multiply across the continents; old and new racial hierarchies are invented and promoted; and neo-liberal capitalism is imposed. The North is glutted with stuff and sporting perfect teeth but feeling poor, while the global South is fighting for survival, for life, for land and humanity. Here, in the belly of the beast, we are encouraged to beware, to wrap ourselves in homeland security and superficial patriotism, and to see the world as us vs. them, civilization vs. barbarians, good vs. evil. Amidst the dichotomy of new and old, we are the parents (yes, literally), aunts, godmothers, and conjurers of today’s young activists. They are taking risks, and we who took risks once ourselves have an obligation to say more than wave a finger in warning. I reject feeling nostalgic for the bittersweet struggles of the past. It is clear that the Sixties, which was never really The Sixties, is being wielded as a bludgeon against today’s young risktakers; a barrier, a legendary era which can never be equaled today. In fact, the Sixties was annually declared “dead” by the pundits of Time magazine and Newsweek beginning in 1963 and throughout the mid-seventies. During the subsequent three and a half decades, there has been a relentless campaign to promote four myths about those radical social upheavals. These legends about the so-called Sixties must be on the table to be scrutinized by today’s young activists. First, the ’60s is enshrined as a heroic time of huge demonstrations, militancy and organizing. It was never all that. Sixties activism was almost always small, isolated, surrounded by hostile, angry crowds. The groundbreaking actions of the students who joined the Student Non-Violent Coordinating Committee (SNCC), the women who stood for an end to patriarchy, and the veterans, draft resisters and deserters who defied the military machine are legendary now because they were right about history and morality. Overwhelmingly, their courage was the quiet kind, the inventive sort, often unrecognized, not showy. Millions took a step away from the path well traveled, left the career track, lived on subsistence pay, learned to talk to strangers about politics, went to the point of production, invented communes, built schools, dug into communities, revived midwifery, seized and exposed the universities, were arrested, broke with family expectations and tradition. Black Panthers, GI organizers, environmentalists, Young Lords, gays and lesbians — the anarchy, the imagination, the gravity, the invisibility to the media, especially the failures are familiar to today’s young activists. So is the sense of isolation, the inadequacy to the task, the frustration with not being heard, the drowning in the American la la machine. The inability to stop the relentless escalation of war and occupation each and every day for a decade. The enormity of the hold of white supremacy on American life, North and South, inside and out. Divisions among ourselves, worst of all. At the height of 1968’s upheaval, activists at Michigan State felt dismayed that they were not strong and powerful, like those in Ann Arbor. Militants in Ann Arbor measured themselves unfavorably against the struggle at Columbia in New York. And at Columbia or Cornell or Berkeley, organizers were unhappy that they were not meeting the high bar set by the May Day events in France, where workers and students brought the government to the brink. The challenge now, as then, is living as a radical organizer in your own time, your own place. The difficulty then and now is working away during what the great educator and founder of Highlander Myles Horton called Valley Times. It involves simultaneously acting and doubting. Today’s episodic massive organizing achievements can similarly be followed by eerie calm, business-as-usual, invisibility, the sense of never having been. Global solidarity and inventive militancy among AIDS activists, followed by . . . Labor rights and global justice shutting down the World Trade Organization in Seattle, but. . . . Brilliant unity and tactical zaniness at the ’04 Republican National Convention building toward. . . . The devastating deflation of electoral defeats and setbacks to independent organizing. . . . GLBTQ direct action and exuberant breakthroughs followed by counter-reaction and withdrawals, momentarily washed up on the shore. . . . This was true also for all but a few seconds of the roughly fifteen years that constituted The Sixties. The consciousness of today is both ahead of and behind the peaks of the past. That was prelude. Now is where we stand. Second, and paradoxically in counterpoint to romanticization, there has been a relentless thirty-year campaign to demonize and criminalize the Sixties. Militant resistance is portrayed as criminal, mass rebellion transformed into mob action, courageous choices derided as self-serving, moderately outrageous comments in the heat of the moment seized upon and repeated ad naseum as if they were the whole story or true. Fine leaders are degraded and their contributions dismissed due to personal limitations and all-too-real flaws. This is the organized, contemporary, and legal companion to the illegal, secret Counter-Intelligence Program (“COINTELPRO”) of the FBI which used disinformation, harassment, and “dirty tricks” against the predominately white movement while using assassination, infiltration and imprisonment against people of color. This demonization of activists was the pretext for physical assassination and character assassination. It finds us still with scores of political prisoners unjustly incarcerated from that time. The Sixties was, in short, neither that good nor that bad. Third, the struggle has been commodified, sold back to us as clothing, music, drugs, and film. It is trivialized, sucked of content, leaving only the husks of oldies, tattoos and faded murals. What remains invisible is surviving for decades on $20/week, living communally, doing what had to be done without funding from foundations or the approval of program grants, stepping off the career track, risking exile or courts martial, turning Left off the interstate. These were and still are choices made by both the privileged as well as the modest — first-generation college students, working-class youth, and immigrants who comprised the movement. But history is seized, not given, change wrenched as a result of struggles from below. The women who challenged the mangling of our bodies — the sisters did not know how it was going to turn out. The youth on the freedom rides, the lunch counters, the voter registration drives, urban insurrections, demonstrations against police brutality, struggles for Puerto Rican independence, Chicano liberation, Native American land, resources and dignity — no one knew how it would turn out. The young men who resisted the draft, who deserted the military, who fought in Vietnam and returned to join the anti-war movement and threw their medals back at the White House, the veterans who today warn and educate about the dread of real war — they did not know how it would turn out. Dr. King himself was an angry, developing radical — a constant work in progress, not an airbrushed saint. When we think about historical moments, of course, we each read ourselves into it in heroic ways. It’s so obvious now. We all imagine that if we had lived during slavery, we would have been a catalyst for emancipation, we know what we would risk. Similarly, in our hearts we believe that had we been alive in Europe at the time of Nazi Germany, we would have been part of the Resistance, we would have hidden refugees, we would surely have stepped up to the historic challenge. What are today’s crises of human rights and how will we be remembered? For what we did and for what we failed to do? How do we narrate and act in this historical moment? Let me begin then with those home truths about the Sixties. 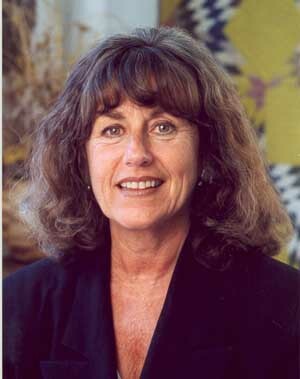 Bernardine Dohrn, activist, academic, and child advocate, is director of the Children and Family Justice Center and clinical associate professor of law in Chicago.